At 5pm CET, we will begin broadcasting a conference on Greek and Latin in an Age of Open Data. The conference will run over four days for three hours each because we want to maximize the geographic range while reaching people in reasonable times of the day. (Not everyone is so lucky -- our colleagues Donald Sturgeon and John S. Y. Lee in Hong Kong are, for example, gamely preparing to present in the middle of the night). The aim of the project is the reconstruction and online publication of about 1700 prints, which appeared between 1500 and 1900. In a next step forms of semantic networks are to be approached in separate subprojects. This is to be illustrated through the direct contextualisation of objects from Philipp von Stosch's Gem Collection. The aim of the project "Reception of Antiquity in a Semantic Network" within the Arachne database is the development and provision of web-based prints from the period between 1500 and 1830. The project’s basis is defined by engravings to classical, Near Eastern and Egyptian Archaeology of the 16th till the 19th century from the library of the Rome Department of the DAI. These early prints (e.g. travel, research and excavation reports, catalogs) have been published in the examination of the excavations and discoveries of ancient cultures in the Mediterranean region. A total of 2,300 engravings will be processed. Of these 1,200 (status of July 2013) are digitized in a way, that they are available as searchable full text (OCR). In addition, the in the engraving presented objects are contextualized. This primarily concerns the structural metadata of the prints as tables of contents, the presence of images or captions, but also bibliographic data of the book. These are structured in collaboration with the DAI’s ZENON database by using the TEI editor which was developed for this purpose by the CoDArchLab. That is the technical book division into cover, title page, table of contents, table etc. which is tagged by using the TEI editor’s user interface, so links are created in a standardized way. Among the semantic metadata the objects pictured and described in the prints, and also its places and people are primarily relevant. This information will be identified and linked to the corresponding information in the image and object database Arachne, i.e. on the one hand to "real" objects and also to the relevant collection, topography and reception records. If this information is not yet available in Arachne, the corresponding records are created. Looking up the Stoss'schen gem collection you find the contextualizing of the semantic metadata deepened. The digitized titles will also be found on the Metasearch of the Virtual Library "PropylaeumSEARCH2". The four and a half year project "Reception of Antiquity in a Semantic Network" began in September 2009 and is funded by the DFG. The following institutions are involved: Rome Departement of the DAI, the head office of the DAI in Berlin, the CoDArchLab in Cologne, ZENON database and the Winckelmann-Gesellschaft Stendal. The expected findings of the overall project concerning former storage places, collection history and publication of archaeological history until the end of the 19th century will offer many insights to the prospective research into the change of the antiques understanding during the Baroque, Enlightenment and Classicism. Thus, the project provides insights into the history of archeology, in the reception of antiquity of various epochs, in the history of various collections and the development of archaeological publications. Ultimately, the project contributes to the interdisciplinary and cultural historical research. All books of the project "Reception of Antiquity in a Semantic Network"
The computer has entered our everyday life and did not stop before the field of mummy research. Computerization not only helps scientists in non-destructively examining mummies, but it also makes it possible to create virtual mummies, a sample of which can be seen by the visitors of the exhibition The Secret of the Mummies - Eternal Life at the Nile, and by yourself on screen, with reduced functionality. The object is a 2300-year-old mummy of a female, aged about 30 years. Naturally, the unwrapping by computer is not any longer the mysterious and thrilling experience a real opening-up of a mummy used to be. But according to modern opinion, such a procedure wouldn't be acceptable anyway, because the dignity of the deceased might be harmed. The procedure originated from medical research. The initial aim was to provide a highly accurate image of the interior body to improve medical diagnostics, surgical planning, and education of medical students. For more than 12 years, a group of researchers led by Professor Karl Heinz Höhne, PhD, at the Institute of Mathematics and Computer Science in Medicine (IMDM) has done research in the field of anatomical 3D-reconstruction of the living human body. Procedures have improved over the years, and thus, it is nowadays possible to produce computer-based body models (virtual bodies), which can be examined in the way an anatomist or surgeon would do it. With the program named VOXEL-MAN, operations can be simulated and planned in advance, and 3D-anatomical atlases can be produced. In these fields, Höhne's group did pioneering work, like for example in 1987, when the first brain of a living human being was reconstructed. Today, work concentrates on the new field of computer-based surgery simulators. Als ich vor einigen Jahrzehnten auf dem Weg zum Latinum war, hat mich der "Stowasser" als lateinisches Schulwörterbuch sieben Jahre lang begleitet - es war der "kleine" Stowasser, den großen habe ich mir damals, ohne ihn zu kennen, sehnlich (aber vergeblich) gewünscht. Ich habe nicht einmal geahnt, daß darüber hinaus noch so viele andere großartige, gründliche lateinische Wörterbücher in Deutschland erschienen sind! Daß es sie gibt, daß sie immer greifbar sind, um uns zu Diensten zu sein, wird für selbstverständlich genommen, es sind bloße Gebrauchsbücher. Aber jedes von ihnen hat seine Geschichte, und sie sind in aller Regel das Ergebnis jahrelanger intensiver Arbeit. In diesem Sinne möchte ich hier auch eine Dankesschuld abtragen, indem ich hinter den Namen wenigstens im groben Umriß die Menschen zeige, ohne deren unermüdlichen Fleiß wir oft an einem Text verzweifeln würden. Inzwischen füllen diese Wörterbücher ein paar Reihen in meinem Regal (vgl. Mein kleines Asyl), und ich habe mir überlegt, ob nicht eine kleine Bibliographie dieser Art auch für andere Freunde der lateinischen Sprache nützlich sein könnte. Gesagt, getan! The work I've done so far now allows me to build a preliminary gazetteer. I've put together such a gazetteer of the several place names in the Copaic Basin. This includes the place names from [Simpson 1980] which I mentioned in a previous post. 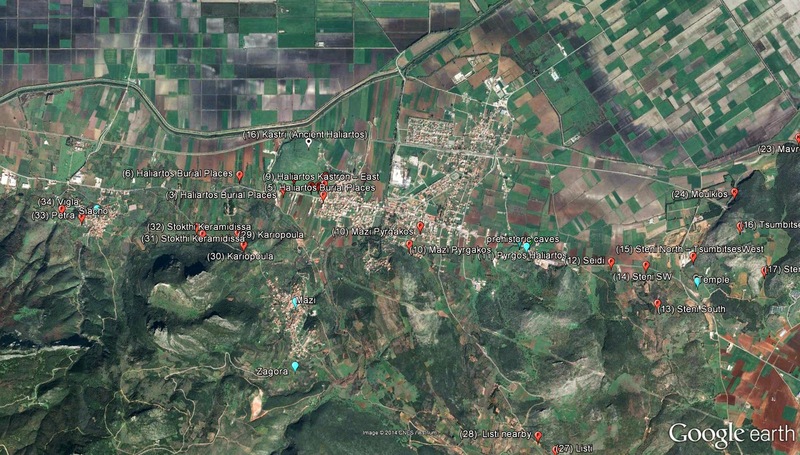 To this I have added most of the place names and place indicators from [Farinetti 2009]. The Farinetti names are in a separate .kml so that you can use them together with the Simpson names or independently. The Simpson names are divided into 'Mycenaean', 'Other sites', 'Channels', and 'Natural Features'. The Farinetti names actually designate find spots of assemblages of artifacts and so I used Farinetti's own system where the names are grouped by region, e.gg. 'around Orchomenos', 'around Levadeia', etc. There are both .kml and .kmz files for these names. In addition I put a tab-separated combined text list of these two sets of names on Google Drive if you prefer to use them that way. If you download the .kml, for instance, and then double click on it Google Earth will start and display the combined files with Simpson and Farinetti's names. The illustration shows what that will look like around the ancient Haliartos area in the SE Copaic Basin. Paddles in blue are place names from Simpson, paddles in red with an 'F' are names from Farinetti. Red paddles with a 'K' show the katavothrai (e.g. #24, 'Moulkios' in the center right of the illustration). Paddles in white with a black dot are the sites that Simpson calls out as 'Mycenaean'. Paddles in red with an 'F' often are preceded by numbers. These numbers correspond to the numbers for places in the relevant sections of Farinetti. Without a gazetteer it can be a little difficult to study this area since there are Mycenaean, classical, Roman, Medieval, and Modern name sets and sometimes all of them for the same place. I hope this gazetteer helps and I'd be grateful to receive corrections. AWOL passed the three million page views benchmark today. A million in the last eleven months. CDLI has recently implemented at <http://cdli.ucla.edu/search/> a search functionality, similar to that for transliterations, for lines of translation and comment that form a part of our core text annotation files. While only a fraction of the numbers of translations available through the Oracc consortium, there are, still, currently some 54,000 lines of translated cuneiform text in CDLI files, mostly in English, but including some instances in German, French, and even Catalan; 14,700 lines of interlinear annotation, from comment on sign preservation up to calculations that underlie numbers in accounts and metrological-mathematical texts, and 88,000 lines of (usually formulaic) comment to text structure. The bulk of current CDLI translations is comprised of those created by Dan Foxvog for the Mesopotamian Royal Inscriptions component of the website (nearly 30,000 lines in 1550 texts; see <http://tinyurl.com/mdhzlrg> and <http://cdli.ucla.edu/projects/royal/royal.html>), and we anticipate more translation content of Sumerian literary texts as ETCSL migrates to CDLI; but 13,600 lines in 1530 administrative texts are also now in some form of translation (<http://tinyurl.com/kjkcut4>). For the record, CDLI restricts translation of texts liable to appear in multiple witness artifacts to their artificial composite entries. As with transliteration search, the exact string of searched characters in translations and comments are highlighted in blue to facilitate their discovery within the displayed texts. Exact string in these instances means that, for example, a search for “pig” will display that string as a discrete word, but also all uses of “pigs,” “pigherder,” and so on. Only “pig” will be highlighted. Please note that the search engine results pages only report numbers of texts found, not individual references to a given search string. Thus a search for “calculation:” in comment results in 228 texts found, but altogether 1026 uses of “calculation:”. As with transliteration search, users can enter multiple character strings in a field, each separated by a comma, for instance "lukalla,account” in translation (currently just six hits, at <http://tinyurl.com/pegtatb>), but unlike transliteration these searches are always of full texts and cannot be restricted to single line, and are not case sensitive, neither of which seemed to us to contribute materially to search strategies. The PBMP’s first full map for navigation is now online. You can start to explore Pompeii in the map embedded below, or go to the full site for more space and options. If you want to customize the map or make a presentation from it, sign in to / sign up for your ArcGIS Online account and save a copy to your own webspace. The link is at the upper right of the embedded map page. [Coming: Click here if you want to download the files as a map package (with minor improvements from online version) ]. Below the map is additional information about the files, the information they contain, and their display. The archive includes digitised articles, along with some indexes, from 1968-2010 (volumes 1-12). 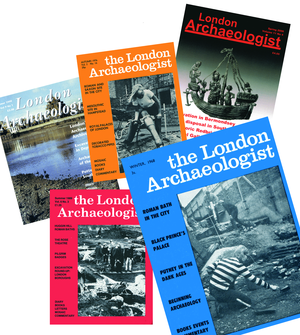 More recent volumes (13 onwards) can be obtained from the London Archaeologist website. Since its founding by Alexander the Great in 331 BCE, and for a period of over 600 years, Alexandria was the cultural capital of the world, especially during the Ptolemaic period. The Hellenistic period – specifically in Alexandria but also throughout the Mediterranean – witnessed many achievements and contributions in all fields of knowledge that have greatly added to man’s thought and the progress of civilization. Subject(s): Egypt - Antiquities - History - Greco-Roman period, 332 B.C.-640 A.D. Die Zahl der im Gebiet der Arbeitersiedlung von Deir el Medine gefundenen Ostraka mit nichtliterarischem Inhalt hat die 10.000 bereits weit hinter sich gelassen und wird möglicherweise auch die 20.000 noch überschreiten. „Deir el Medine online" dient dem Ziel, dieser Textflut mit Hilfe moderner Technologien Herr zu werden. Die Ostraka werden in einer heutigen wissenschaftlichen Anforderungen gerecht werdenden Weise bearbeitet und unter Nutzung der technischen Möglichkeiten, die dieses Medium bietet, im Internet publiziert. Die Präsentation der einzelnen Texte folgt einem einheitlichen Muster: Sie werden jeweils anhand eines detaillierten, für alle Ostraka gleichen Schemas beschrieben, hieroglyphisch transliteriert, phonetisch transkribiert übersetzt und ausführlich kommentiert. Die Dokumentation wird durch eine farbige Digitalfotografie - bei Bedarf auch durch mehrere - komplettiert. Außerdem erlaubt das System umfassende Recherchemöglichkeiten im gesamten Datenmaterial. Damit kann ein grundlegendes - und durch zusätzliche Daten jederzeit erweiterbares - Instrumentarium für die Arbeit mit diesen Texten zur Verfügung gestellt werden. The Scrypt software is a tool for computer-assisted decipherment of ancient alphabetic inscriptions, enabling the user to choose a set of possible readings for each cell of the inscription, and to automatically launch dictionary searches for selected regions of the text in the Brown-Driver-Briggs Hebrew dictionary. The name Scrypt is inspired by a fusion of script (as in “ancient script”), script (a special kind of computer program) and crypt (as in “cryptography”). Click on a cell to view (and possibly change) its content, and select a continuous range of cells to launch a dictionary search. Finally, just click on a word among the dictionary results, in order to save it in the "Readings" panel to the right. Become an archeologist! Use your iPhone or iPad as a tool to tap, dig, and explore Israel’s past. Discover the Dead Sea Scrolls in an ancient cave, and piece them together to reveal their meaning! Dig up the 2,000 year old Lod Mosaic, then uncover its story in a fast-paced quiz game! You’ll need skills, creativity, and smarts to become a great archaeologist and unlock all the rewards. • Grow your own collection of antiquities as you master the games – try to win them all! Dig Quest: Israel was created by the Israel Antiquities Authority and features addictive games and puzzles based on world-famous antiquities in the National Treasures. 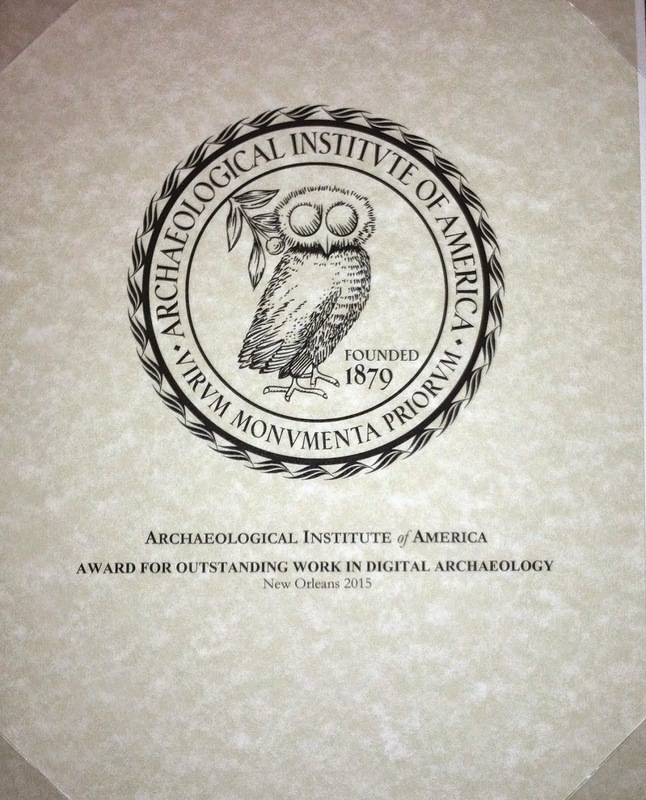 The games in the App are designed around real discoveries and archaeological artifacts and were developed in collaboration with the IAA’s team of pre-eminent archaeologists, scholars and researchers. As they play, kids get a feel for what archaeologists do as they experience the excitement of discovery and the creativity and skills involved in solving mysteries from the distant past.